If they say it and I don’t believe it, is it true? What is sanity anyway, but an angle on the point of a star? I had the opportunity to speak at length Aug. 3 on my radio show, Wanda’s Picks, with the architect of the California Reducing Disparities Project’s African American Strategic Workgroup report, “We Ain’t Crazy! Just Coping with a Crazy System,” which looks qualitatively and quantitatively at Black mental health in California and its blatant racialized disparities. The report, which was just released last month at the 44th Annual International Convention of the Association of Black Psychologists in Los Angeles, was just the first stop on a statewide tour, where stakeholders and constituents will reconvene to discuss the scope of the document and next steps. There is money, $50 million to be exact, connected to the implementation over the next four years. Fifty million dollars sounds like a lot but, divided among the five areas represented in the study, it might look a bit less liquid as spatulas are used to ice a warm cake, but it is a start. Slated to speak for 45 minutes, we stretched our conversation to two hours, Dr. V. Diane Woods at first in route to her office, then seated in her car speaking in what one can only imagine were less than optimum circumstances. The day of the unveiling of two years-plus work in Los Angeles she called me to let me know she was available for an interview, as I’d indicated I would be in attendance at the ABPsi conference. Unfortunately, I arrived the day after her presentation and we’ve been playing phone-email tag since. Just arriving back in town after a meeting with Black physicians at their National Conference in New Orleans last week, Dr. Woods is canvassing the nation with concrete data on how at least in California, a state the size of some countries with a GNP greater than many nations, such information can ultimately prevent disease and promote well-being in the African American community. Her work reminds me of that of Dr. Marcus Lorenzo Penn here in the Bay Area, who just had a 35th birthday celebration last month. Dr. Penn’s work, at the University of California, San Francisco, in oncology looks at ways patients can manage stress and by doing so prolong their lives. He has a prescriptive yoga series with meditation, coupled with affirmations and visualizations, often culturally specific. This is the same Dr. Penn who for the past two years has led the community in meditation at the annual Maafa Ritual in San Francisco. He is also a photographer and recently published a book with sunsets from around the world. At the ABPsi conference I met a man who is using biofeedback with youth in a high school as a stress management intervention. The adolescent years are extremely stressful as young people navigate the hormone grid coupled with peer pressure, societal prejudice, parental misunderstandings and just youthful foolishness – all a part of the growing process. Also at the conference, I was able to attend a members’ meeting where ABPsi president Dr. Cheryl Tawede Grills spoke about an initiative, Emotional Healing Circles, the first launched in Tuskegee, Alabama, as a way for communities to address many of the psycho-social-emotional issues facing Black people individually and collectively which impact our mental and physical health. This impressive and massive CRDP report is filled with personal anecdotes from the over 1,000 participants across the state queried in questionnaires, focus groups and in-depth interviews. This input grounds the document experientially in a way that takes one from head to heart. The route is circuitous as is the health model Dr. Woods’ life represents – holistic health using multiple proven instruments. She is not a one-size-fits-all shopkeeper, which is why I am sure she was chosen to lead this study, which resulted in an impressive plan aligned with similar studies conducted simultaneously in the Asian/Pacific Islander community, Latino community, LGBTQ communities, which overlap all other communities, and the Native American community, which also overlaps other communities, as do perhaps all categories in a state where the caveat, biracial, was born. Together, these documents give policymakers a different picture of California and concrete data with which to now implement policies which will change the way this state is structured from its medical system to its educational and prison systems. Mental health is a right for all. These other groups have been meeting with the African American Strategic Planning Workgroup since the study was commissioned and continue to meet to date. All the studies can be jointly accessed at http://www.dmh.ca.gov/Multicultural_Services/CRDP.asp. In the short term, the study will strengthen the existing mental health infrastructure. One of the complaints stated in the study was that folks do not know how to access resources. In response, Dr. Woods stated that there will be a directory generated from the research along with a list of research on African American mental health, as thus far the academic literature in the mental health field does not support such a research model. Even though Black clinicians are doing important and valuable research that challenges the Western medical paradigm as it opens the field to African indigenous healing modalities, many clinicians operating within the Western healing model are not aware of such thinking and research. They were obviously not at ABPsi 44, where many plenaries and paper presentations, especially at the student poster presentations, had my head spinning – in a good way (smile). This has long been the goal of Maafa San Francisco Bay Area, to be a resource clearinghouse for people of African descent who need culturally competent mental health services. 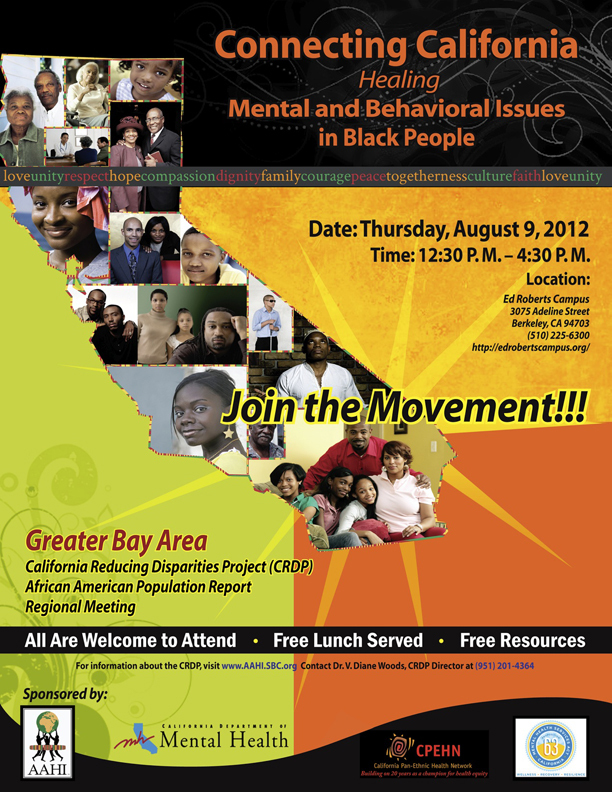 In the past, whenever we’ve had our panel discussions looking at the residual psychological effects of enslavement and how we can heal from the trauma, we’ve invited organizations like the Institute for the Advanced Study of Black Family Life and Culture, as well as The Mentoring Center, the Black Psychologists and Alameda County Office of Behavior Health, which has a handbook on services in the county. In the future we’d like to invite A New Way Forward Healing What’s Hurting Black America: The Local Circle. I wonder about all the shows on television today where people confront their demons in public settings. Is anyone ever healed from such an exhibition? How did the sensationalizing of illness become a popular sport? Is it a cry for help and, if it is, why resort to what often looks like humiliation and embarrassment for a cure? Are our communities this bereft of affordable clinicians and healthcare services that one has to stoop to such levels for help? Are we so distant from each other, so alone or isolated, that often TV therapists are all we can rely on, the studio audience our surrogate families? If healing is a communal experience, then one can see why first radio, then television, then the Internet has become the 21st century family complete with distant and close relatives now that Facebook has fine tuned and defined its relationship categories from the simple “friends” and “friends of friends” to variations thereof. Prop 63, “The Mental Health Service Act,” is fueling the California Reducing Disparities Project (CRDP). In doing research and preparing for this journey with Dr. Woods, I found General Jeff, a man who is an active board member and advocate with the Downtown Los Angeles Neighborhood Council Skid Row. Dr. Woods is a regular guest on his show and familiar with Mr. Jeff’s work. In one of the televised interviews they were at a conference with prison officials, looking at mental illness behind bars and the grossly inadequate treatment of prisoners. Often over medicated, the prisoners once released are literally “crazier” than when they went in (Draft Report, Table 44, 189-190). In the report, Mr. Jeff’s work is cited extensively. He is a true hero, representing a population which is extremely marginalized and excluded, the chronically homeless and mentally ill. In D7, “Discussion of Preliminary Findings: Actions express priorities,” researchers state: “[T]he collective cry from across the state of California is that Black people have been ‘severely neglected’ by the system established to help all people. This statement is based on the evidence of a gross lack of priority programs and initiatives by mental health providers” (Draft Public Review Copy CRDP 230). If one looks at Marin County, the richest county in the state and one sees how isolated the Black community in Marin City is from the overall county, it is amazing how within the presence of such wealth, how Marin City has the “highest per capita concentration of the Black population and the highest per capita death rate in the county and the highest rate of children of color in the juvenile justice system” (Draft Public Review Copy CRDP 198). Terms like “‘ISOJI,’ a Nigerian term which means ‘rebirth or revitalization, or renaissance’” – a worldview which looks at character development as something that starts within and is expressed without via social justice, advocacy and effective communication – are the basis of the community based organization in Marin County which “has facilitated,” since 1999, “programs that support family resiliency, early childhood education, mental health, health and wellness services, and collaborative efforts of community building between family and community members, service providers and organizations, leadership and policy makers, while maintaining neutrality, integrity, transparency and accountability to the community” (Draft Public Review Copy CRDP 198). The notion of having a prison as one’s nearest neighbor is not addressed anywhere in the report; however, with the expansion of the prison industrial complex for juveniles and adults – San Quentin lurking like a dark shadow over Marin City residents – it is not surprising that acid rainfall would affect the psyche of its residents. Marin City is a beautiful city, but if your home is just one exist away from a California state prison where executions occurred quite frequently until stayed a few years ago when the third drug in the cocktail was exhausted, what does that do to one’s dreams? How can one rest peacefully at night? I was stopped “driving while Black” in San Rafael and then followed to the Richmond Bridge when the officer couldn’t find anything to cite me for. My plates had incendiary stickers, like “Free Mumia Abu Jamal” and other such free speech indications that I was not from around there, but it was my first time being stopped. Prior to that, I thought only Black men were suspect (smile). By far some of the best aspects of this report are the personal stories and testimony. I got lost many times in the acronyms – the only letter I could always figure out was the “M” for “Mental” usually followed by “H” for health. In Table 36 “Questions: What Do African Americans consider ‘good’ mental health?” there are a variety of categories listed, from “Sound Moral Foundation and Being Self-Assured” to “Responsible, Sharing, Connected, Independence, Self-Love, Coping, God-Family-Friends, Self-Help, Positive Role Models, Prevention, Freedom from Micro-aggressions, Cultural Compassion, and Identity Crises” (Draft Public Review Copy CRDP 162-171). “Let’s say you’re 25 and you’re struggling with something that you know isn’t right for a long time and you’re finally … gonna go get that help and you’re not very educated about the first help you get, which is telling you, OK, take a pill. Now you’re thinking this pill I gotta be on for all my life; you know I’m dependent on this and it’s like, like buying a car at the first shop you go to. You know, I mean I should just take this pill. You’re trusting that it’s a doctor, so if someone you know is just facing it and coming and trying to get that help and the provider just wants to do medication, that’s an obstacle. … I’ve gone this long without medication. I don’t want to, you know, maybe have to use that as my savior. You know, help me with this. So, you know, if you just run into people and let’s say you might go to three or four doctors, and they all just want to, to pump medication” (Draft Public Review Copy CRDP 168). Another person, a man this time, from San Diego said in the “Gay Males, San Ysido Comprehensive Focus Group,” that he is communicating his concerns to the care provider and the response is pills, which make him feel “crazy and violent,” so the medications are stopped. Often the medications given to patients, especially those in custody – more for behavior management than treatment or cure – are so strong that patients end up like zombies. Often prisoners are released addicted to these expensive opiates that their medical coverage, if they have such, does not cover. Some of the stories recorded sound like episodes from the Twilight Zone. This is the story of a mother whose daughter, a new mother, was hearing voices. “I took her to Kaiser and Kaiser refused her because she had Kaiser/MediCal,” the mother says. “So I took her to the hospital and they refused to see her. They talked to her, but she had to go to a county facility. You know, it went on for three weeks, until she got so bad, ‘til she was telling me that she can’t be at home alone with me because she is a threat to the baby, you know. So you know for like three months, we were struggling until I got to the place where I knew I had to get some help. Watch me, somehow I got her into the car, but they do not cooperate, and I mean she was taking the steering wheel. You couldn’t drive down the street with her.” The Lodi resident finally got her daughter into treatment, and guess what? Her daughter was given the wrong medication and ended up in a coma (Draft Public Review Copy CRDP 169). Given the president’s present health bill, I wonder what, if anything, might have changed for the new mother had it been in place when she needed urgent care. Over and over participants in the study praised the community health care model as one they trusted. I loved the example given from the Maori tradition in New Zealand, where the elders and the family approach healing as a communal event. Blessings or prayers are offered before treatment starts, and the relationship is one of mutual support and trust between the patient, his or her family and the care provider, who is not allowed to just run with any given treatment model. A family member is always present, and if the care is deemed counterintuitive or harmful, the family support person stops the treatment. Family advocates are so important, especially when the patient is unable to speak for him or herself. This is especially important for children and elders in our American medical system. I noticed when my father was ill that he was treated a lot better than patients who didn’t have visitors. My brother and I let the hospital, convalescent home and all his care providers know that they’d better treat our father righteous! And when they messed up, we called the ombudsman, filed a report and shut the convalescent hospital down. Throughout the CRDP study, the importance of family in the African American social construct is repeated over and over again. The family is also mentioned as integral to the healing process the family and one’s connection to God or Spirit. The model offered by Dr. Wade Nobles, which looks at the person and environment as the nexus for health, adds to this point, that is, good health is in direct relationship to the space one occupies at home and abroad. He and King call it the Culturecology Model ©, where “‘the nature of the person’ and ‘the nature of the environment’ are inextricably connected” (Draft Public Review Copy CRDP 214). In the “Model of Cultural Identification/Location African American” chart, the healthy person is grounded in Ma’at/Africanity in an environment where this “self” is supported. In the “t” shaped chart, I found myself on the upper right side: positive self image, toxic environment. So even though I operate from what Nobles calls “‘an authentic’ or ‘genuine’” self, this self is undermined by the toxicity of the environment away from home. The fight I have daily in being who I am at work undermines my health and well-being. I love Nobles’ claim that one must know oneself to be oneself, that to be African is to be connected to one’s origin, that which brought one into existence. I recall my early teaching in the Nation of Islam, where the Hon. Elijah Muhammad stressed first one must know oneself and secondly, after knowing oneself, one must do for self (smile). I’m sure he would agree with Nobles that until one is connected to one’s authenticity or roots, one is not truly human, especially when one looks at how the devil is manufactured (smile) (Draft Public Review Copy CRDP 215). The report goes on to state that financial resources have not been allocated to culturally competent practices, so effective programs struggle to stay open to meet the demands of their clients. The Chicago Times stated that on Aug. 1 in Chicago, one of the contributors to this study, Dr. Carl C. Bell’s clinic was closed down. Hundreds of patients on Chicago’s Southside will not have mental health care as of this week. Where will these patients go? 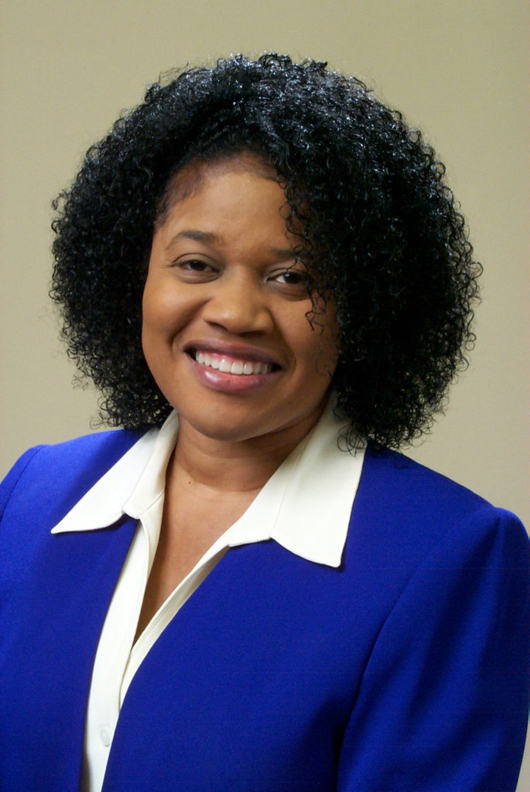 In a shrinking model for public healthcare, there are no existing clinics or medical centers ready to absorb Dr. Bell’s patients, so their names will most likely join the list of so many underserved Americans. My cousin works in mental health in Chicago and has been on disability after being injured by a patient earlier this year. Chicago Mayor Rahm Emanuel’s “decision to consolidate 12 city mental health clinics into six led protesters to barricade themselves inside a Southside mental health clinic. Only a few agencies in the African-American community are able to raise the level of private funds needed to help survive a serious financial crisis,” The Chicago Sun Times reported Monday, July 30. “Who is going to give money to a Black organization that is helping Black people who are mentally ill, abusing substances, poor and sometimes slow?” Bell responds to journalist Mary Mitchell’s question. “I had two MBAs on staff … but we’ve been doing stuff with no adequate funding for a good two years. We spent every nickel on patient care,” Bell said. His clinic, Community Mental Health Council, is in Congressman Jesse Jackson Jr.’s district, yet the elected official with public funds (tax dollars) can afford to go elsewhere for psychiatric care for his depression, while the “1,000 mental health patients dependent on the Community Mental Health Council” have nowhere else to go. Where is the justice in this, especially in a city rated number one for homicides and gun violence? The Statewide California Reducing Disparities Project is being looked at across the country as a model for responsive effective preventative care. Here at home, proper funding of existing programs is a must and development of other support mechanisms and models is also recommended. What is happening in Chicago is systematic of a healthcare model that leaves its most vulnerable populations, especially if they are persons of color, without care. Of the four consensus statements to emerge from this national dialogue of 45 experts from “a variety of relevant professions” the one I found really insightful was number 4, that “a significant number of the health and behavioral health conditions in African American communities co-occur with other socio-economic conditions.” This is not new information, but I like that it was included. These “co-occurring conditions” which are often called dual and triple diagnoses, include “substance disorders, severe mental illness, HIV/AIDS, poverty, diabetes, heart disease, low income, unemployment and homelessness. The presence of multiple conditions increases overall health risks, stigma, costs and health outcomes” (Draft Public Review Copy CRDP 215). The Statewide California Reducing Disparities Project shows that African Americans’ health and well-being is not a priority for the state of California, whether one finds oneself below or above the poverty line, with or without private insurance. The “everyone gets the same’” approach has not worked and will not work for us, if we are looking for “‘good mental health in Blacks and to sustain what is working on an individual, community and systems level” (Draft CRDP 232). Again, visit http://www.dmh.ca.gov/Multicultural_Services/CRDP.asp to read the Draft Report and plan to attend the report-back in your neighborhood when the show hits the road (smile). Dr. Woods will be in Northern California on Aug. 9, 2012. There are other meetings planned in Los Angeles County, the first Aug. 14, and another in Sacramento. You can call or contact the African American Health Institute of San Bernardino County at www.AAHI-SBC.org or (909) 880-2600 to find out when Dr. Woods is coming to a theater near you (smile). To listen to the interview, visit: http://www.blogtalkradio.com/wandas-picks/2012/08/03/wandas-picks-radio-show. “Discussion of Preliminary Findings: Actions express priorities"
“The Mental Health Service Act"
“We Ain’t Crazy! Just Coping with a Crazy System"
San Ysido Comprehensive Focus Group"
This is interesting. I wish I'd known about it yesterday, the 9th. Since I missed her presentation, I'll just keep up dated on the progress of the project.